When you’re tasked with taking care of a loved one, taking care of yourself is just as important of a job—and it can seem just as difficult to do. Caregivers often feel overwhelmed and guilty about taking time for themselves, but in reality, it’s impossible to provide the care you want to give if you aren’t at your best. Respite care near Memphis allows you to get the break you need while knowing that your loved one is still receiving the support he or she requires. Here is a look at why respite care is an essential part of being a caregiver. Many caregivers find that they get sick more often than they did before they were in charge of providing care. It’s no surprise that this happens, since you’re more likely to miss out on sleep, healthy eating, and regular exercise when your loved one needs your attention. When your body doesn’t get the basic things it needs, like rest and nutrition, you become more vulnerable to infection. With respite care, a home health aide can take over care duties while you sleep, work out, or simply rest and let your body heal. Being a caregiver is rewarding, but it is also emotionally demanding. The less help you have with care, the more stressful your duties can become. In addition to the damage that long-term stress can do to you, you may find that you become inpatient with your loved one because of the pressure. Respite care gives you an important opportunity to focus on yourself and do things that bring you pleasure, such as engaging in favorite hobbies and spending time with friends, which can help to restore your emotional health. Because of the demands of your caregiving duties, you may have less time for important personal relationships. You can preserve these connections with the help of respite care. Use the opportunity to go out with your spouse, spend the day with your kids, or catch up with an old friend. When a loved one needs end-of-life care or hospice care in Memphis, you will likely have many questions about what your options are. This video can help you make important decisions about hospice care. End-of-life care can be provided in a number of different ways, including in hospice facilities, but many families find that the best hospice care is provided at home. With in-home hospice care, your loved one gets to spend his or her final days in the comfort of familiar surroundings while getting necessary care and support. Look for home health care providers who have experience providing this kind of care. Home care and hospice work together to make sure that the patient is getting all the care they need. When hospice can’t be there all the time home care providers can be there up to 24-hours a day to make sure your loved ones are getting the full care they need. 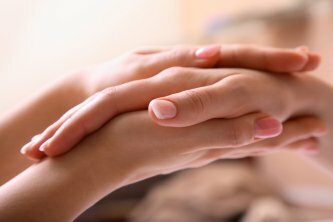 Hospice care is about caring for the patient as well his or her family, so ensure that the program you are considering also provides support for family members during the hospice period. The term dementia describes a group of symptoms that together reflect a general mental decline that interferes with everyday living. Most people with dementia need home health care in Memphis to help with things like personal hygiene, cooking, and medication reminders. The level of care required depends on the type and severity of the dementia. The most common form of dementia is Alzheimer’s disease. Alzheimer’s disease is a progressive condition, and patients require an increasing degree of home health care as the disease worsens. Another type of dementia is vascular dementia, which is brought on by stroke. 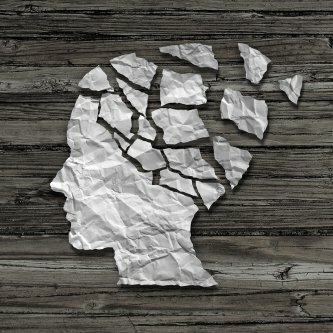 Other types of dementia can be caused by different medical conditions, such as thyroid disease, and may be reversible when the underlying condition is treated. If your loved one displays signs of dementia, such as memory loss or communication difficulties, take action right away. Although not every type of dementia is curable, with the right at-home care and the right treatment, the symptoms may be slowed or managed. When a loved one is discharged from a hospital or other healthcare facility, it may seem as though the difficult part of recovery is behind him or her. This is often not the case, however. In fact, about two out of every 10 hospitalizations is a re-admittance after a prior discharge due to an improper transition back to the home environment. By carefully planning your loved one’s transition with the help of an agency for in-home care near Memphis , you can greatly facilitate his or her recovery. Seeking help from an in-home care agency can provide a safer environment in the home, and also ease the burden on family caregivers. Planning ahead for your loved one’s care at home is critical. You can consult your loved one’s healthcare team to determine the type of support he or she may need. Many families underestimate the amount of care a loved one will need and overestimate their ability to provide it. 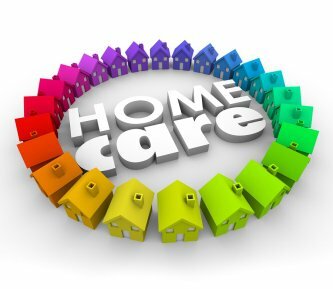 Consider visiting an in-home care agency to arrange home care for your loved one. These services are available on a short-term and long-term basis. Walk through your loved one’s home before he or she is discharged. After consulting with his or her healthcare/discharge team, you may determine that some modifications are necessary to ensure safety. For example, you may need to install grab bars/shower chair in the bathtub. If your loved one cannot yet manage stairs and the bedroom is on an upper level, you can rent a hospital bed to place downstairs. You may also need to have assistive devices and healthcare supplies in the home for your loved one, such as a walker, disposable gloves, and bedside potty. Once your loved one is discharged, a home health aide can assist with tasks such as meal preparation, housekeeping, ambulation, bathing, dressing, and toileting. After the family caregiver has filled all necessary prescriptions, a schedule can be arranged with your in-home care agency for medicine reminders. The family caregiver along with the discharge planner can determine and arrange necessary services at home, such as home health care, physical therapy or occupational therapy.